For the first time in 30 years, the United States has the capability to produce fuel for deep space missions. Plutonium-238 is an isotope that produces thermal energy through radioactive decay. This energy can be converted into electricity and used to power spacecraft systems for decades of flight. Systems using this isotope include the Viking landers, the Voyager spacecraft, and more recent missions like the Mars Science Laboratory (Curiosity) and New Horizons. The Oak Ridge National Laboratory in Tennessee, run by the US Department of Energy, has produced 50 grams of the isotope, amounting to the size of a golf ball. This is the first time it has been produced since production ceased in the 1980s at the Savannah river plant in South Carolina. The production of the 50g sample will allow scientists to study it’s makeup and determine any adjustments that need to be made before scaling up the process. 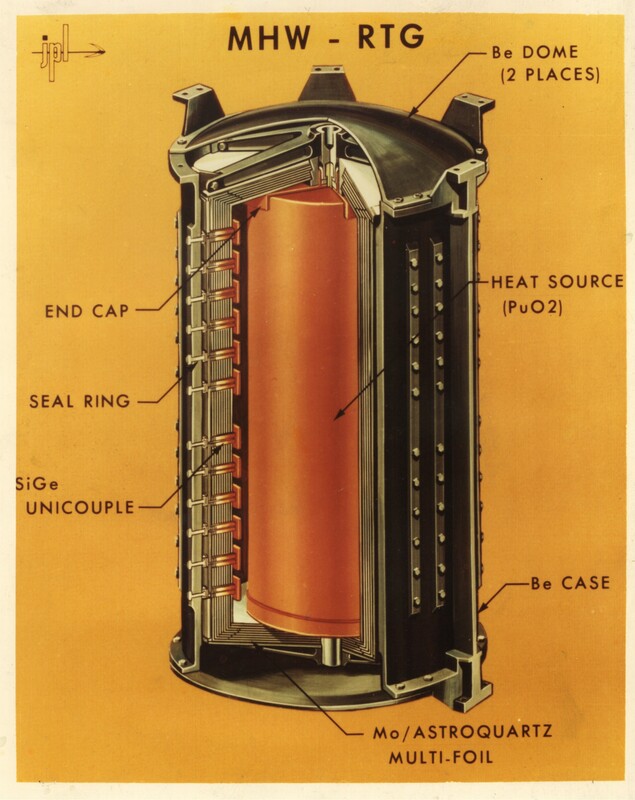 Once this happens, they can produce the Multi-Mission Radioisotope Thermoelectric Generator (MMRTG), which is essentially a nuclear battery that produces 110 Watts of power. The extra heat can also be used to keep instruments warm, especially on lander and rover missions such as Curiosity. Currently the production looks toward the 2020 Mars rover, which will look for signs of ancient life on Mars, test equipment for future human exploration, and collect rock samples for potential return to Earth in the future.